DividendMax»Company Coverage»Country:United States»Exchange:New York Stock Exchange»Sector:Household Goods»Company:Colgate-Palmolive Co.
Colgate-Palmolive one of the world’s leading global consumer products companies. The group focuses primarily on oral care, personal care, household surface care and fabric care. The company’s pet nutrition products are manufactured and marketed by its subsidiary, Hill's Pet Nutrition. The company’s major brands are sold in over 200 countries and territories worldwide and include Colgate, Palmolive, Kolynos, Sorriso, Mennen, Protex, Ajax, Soupline, Suavitel, Fab, Science Diet, as well as Hill's Science Diet and Hill's Prescription Diet pet foods. 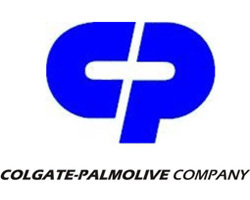 Colgate-Palmolive has a terrific track record of increasing dividends to Shareholders and this is forecast by analysts to continue, it has paid uninterrupted dividends on its common stock since 1895 and increased payments to common shareholders every year for 49 years.